Magento Marketplace Fastway Shipping : Our Magento Marketplace Shipping module provides Fastway Shipping method for shipping the product in Australia, New Zealand, Ireland & N.Ireland, South Africa. Using this shipping module vendor / seller can manage their shipping and order from vendor panel print invoice, and can enter tracking ID, and complete shipping management from seller panel. Marketplace Fastway Shipping For Magento2 is also available. Magento Marketplace Fastway Shipping -Our Magento Marketplace Shipping module provides Fastway Shipping method for shipping the product in Australia, New Zealand, Ireland & N.Ireland, South Africa. Using this shipping module vendor / seller can manage their shipping and order from vendor panel print invoice, and can enter tracking ID, and complete shipping management from seller panel. Admin can set the Fastway Shipping method name that will be shown at front side. Fastway Shipping/ Courier offer timely & best courier service to its customers. Our Magento Marketplace Shipping module provides Fastway Shipping method for shipping the products to Australia, New Zealand, Ireland, South Africa. The admin can enable or disable this add-on from the back-end. Admin will also enter the Fastway API key. 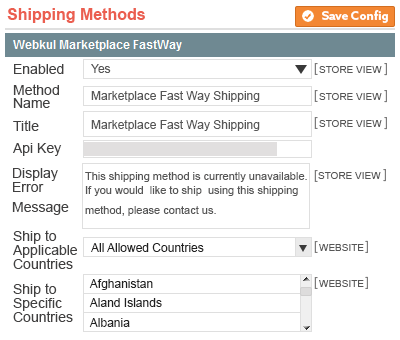 Allow to enable or disable this shipping method. Set the Fastway Shipping method name that will be shown at the front side. 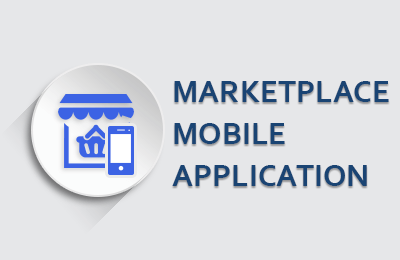 Using this shipping module vendor / seller can manage their shipping and order from vendor panel print invoice, and can enter tracking ID and complete shipping management from seller panel. 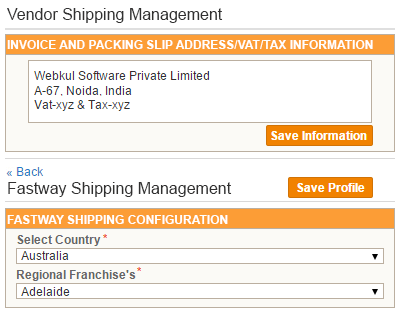 Under “Manage Shipping”, seller can set the “ country and regional franchise's for fastway shipping. Allow to set the “ country and regional franchise” for fastway shipping. Allow to set Invoice, shipping address, VAT, TAX information. 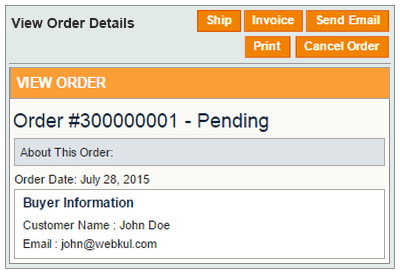 After the approval of the order, seller can generate the invoice. After generating invoice, seller can set the tracking number, shipping details and save it. Now the order status will be “complete”. The seller can download the invoice slip and shipping slip for that particular order and can even print both the slips. Even the seller can download the bulk invoice and shipping slips. Allow to set the tracking id and shipping detail. Allow to cancel the order. Did you buy Magento Marketplace Fastway Shipping?